I’m not a naturally upbeat person who’s got a pep in her step. Melancholy is more my bent. So the idea of being a joyful person eluded me for many years when I was a young Christ-follower. Coming out of a deep dark pit of atheism I had my fair share of depression struggles and suicidal thoughts, but once I found the Light my heart was filled with hope. But one day, it felt like the light went out. Depression has been my uninvited traveling companion on and off for years. I am well acquainted with her and the dark cloud she brings to my life. Yet, as a believer in Christ, the last thing I want to be is a depressed disciple. Not realizing that my body was physically out of balance because my hormones were out of balance, I was faced with ongoing depression. Like clockwork, depression showed up on my doorstep each month. After a time, she left my heart and mind only to show up again the following month. Nothing I did could make her go away until I got help to balance my body. When we lost our house and business, my soul was depressed again, but it wasn’t due to physical imbalances. My depression was for emotional reasons based on my disheartening circumstances. Hope starts to escape us when life feels like it will never get better and then the next thing you know depression rears its ugly head and blows out the flickering light of joy we hold in our hearts. If my circumstances were different, would my mood be different? A chemical imbalance that causes depression is not the same type of depression due to life’s disappointing and discouraging circumstances. 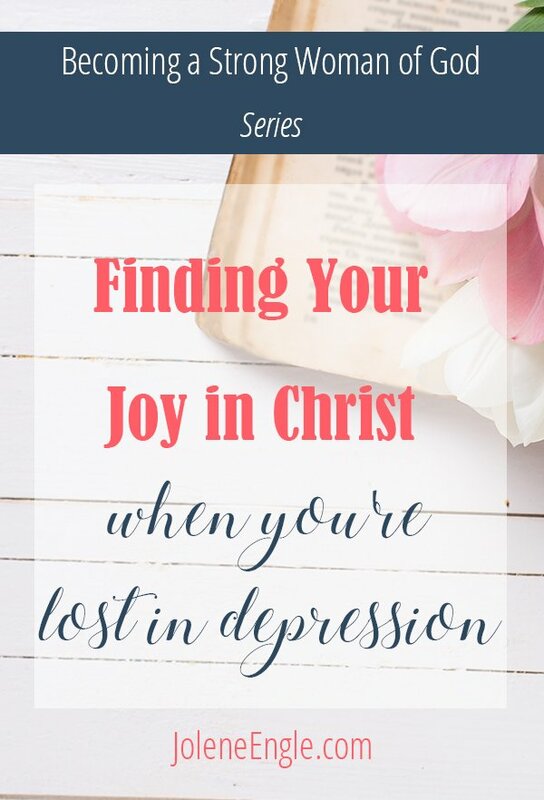 In this post, I’m going to address finding joy when you’re dealing with circumstantial depression. Anything that brings deep sadness and disappointment to your heart, which then leads to depression, would be my definition of circumstantial depression. Examples would be a financial loss, broken relationships, debilitating health, a wayward child, death of a loved one, devastating news, etc. When depression enters your soul, she crushes your joy, and you’re left feeling like a defeated disciple rather than a victorious one. And being that I want to be a strong woman of God, over the years I’ve sought out ways to make sure I find my joy in Jesus and not in my circumstances. Circumstances are always changing, but Jesus is the same yesterday, today, and forever. But when pain rains down hard, I need God’s ever-present comfort before I can experience His joy. And there is no other book in the Bible that brings my soul comfort like the book of Psalms. To hear the psalmist David cry out to God day and night makes me feel like I’m not alone in my anguish. So when your soul needs comfort, camp out in the book of Psalms. It’s where we’re headed today to find joy. 1. Jesus is the antidepressant for your depressed soul. Stay close to Him and remain in His Word. This is where your help comes from. 2. Stay connected to a community of believers. Be mindful of the fact that isolation breeds depression. This little step helps me to be others-focused rather than self-focused. And if I’m too busy being about my Father’s business, I don’t have time to coddle my depression. 4. Tweak your perspective on the pain you’ve experienced and seek to use your suffering for God’s glory. You have allowed me to suffer much hardship, but you will restore me to life again and lift me up from the depths of the earth. 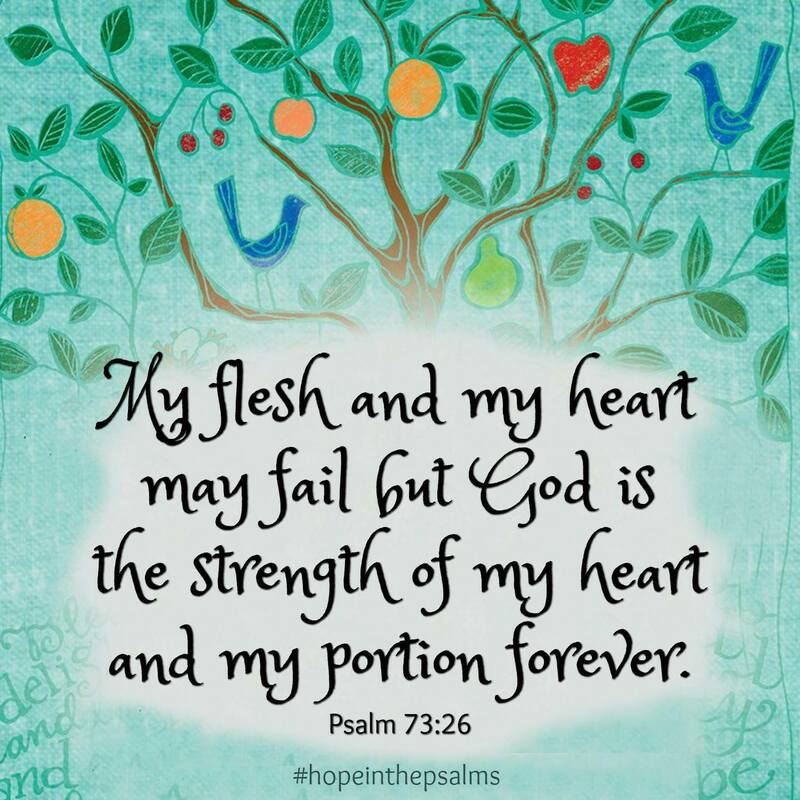 Psalm 71:20. 5. Be patient in the healing process. Run towards God’s comfort and let His word minister to your heart. Embrace the scriptures. Write them down. Hold them close to your heart. 6. Find something in your life to thank God for. Anytime I’m focused on my pain, it’s hard for me to feel joyful. 7. Ask yourself where or who you’re putting your hope in. This line of questioning always points my heart and mind back to Christ. It’s my emotional reality check. 8. Make an intentional act of your will to rejoice in the Lord. 9. Listen to praise and worship music. Music for the soul is what I like to call it. Just hearing songs that point straight back to Christ can lift my countenance. 10. Go to church on a regular basis. Anytime I’m at church, my soul gets ministered to whether it’s through worship, the Word, or by being with others. Even when my flesh would rather stay at home, I make the choice to go to church anyway. Want to dive deeper into the book of Psalms? Check out this new Bible study, Discovering Hope in the Psalms co-authored by my friend, Pam Farrell. Explore God’s Word on a deeper level and engage with his truth in fresh ways! This study on select psalms of hope invites you beneath the surface to discover the incredible design and purpose of this inspired Hebrew poetry. Perfect for group discussion or personal reflection, Discovering Hope in the Psalms offers valuable teachings, motivating devotions, and a multitude of creative options for interacting with the ten psalms covered—including beautiful artwork to color. *Spiritual oppression is another type of depression but this topic is beyond the scope of this blog post. Thank you, it is as if you knew what I am going through. The Lord is my source of strength and my peace. Not sure how to deal with this problem. My children saw my husband( their step father) in the shopping centre with another woman, pushing groceries where as at home there is nothing. when I asked he looked at me as if I do not know what I am talking about. I am swimming in debt, no help from him. how do I keep getting my soul lifted up in this situation. Yes, Gloria, Jesus is our source of strength and peace. Keep trusting in Him in trying times. So timely! I just bought a fresh, cute new journal yesterday 🙂 and am also dealing with some major hormonal imbalances. Iam 39 and was diagnosed as pre-menpausal. Sometimes I am c9ncinved that my body hates me,lol! I plan to read some psalms today and renew my spirit, even just a tiny bit by journaling. What I want to do is tell the world to go away. I want to stay in bed today. The struggles are real. I can’t say how the day will go. I may not get very far. But I trust that what needs to get done will get done. And I will let God sort out the rest. (I mean that last statement metaphorically as well as with tangible things). Bless you Jolene. It continues to astound me that God speaks to me through a woman all the way from CA. You and Eric are dear souls. Timothy and I just love y’all to bits! Oh how I understand perimenopause. Mine started when I was 31. Leaning onChrist in our weakness definitely makes us stronger women. Thanks for your sweet words of encouragement, sister!